After shattering attendance records with its debut in England, Norman Rockwell’s America, a comprehensive exhibition of the legendary illustrator’s 60-year career, opens at the Birmingham Museum of Art on September 16, 2012. Featuring more than 52 original paintings and all 323 vintage Saturday Evening Post covers, the exhibition visually chronicles the evolving landscape of American culture and society from 1916-1969 and is one of the largest Rockwell exhibitions to ever travel. 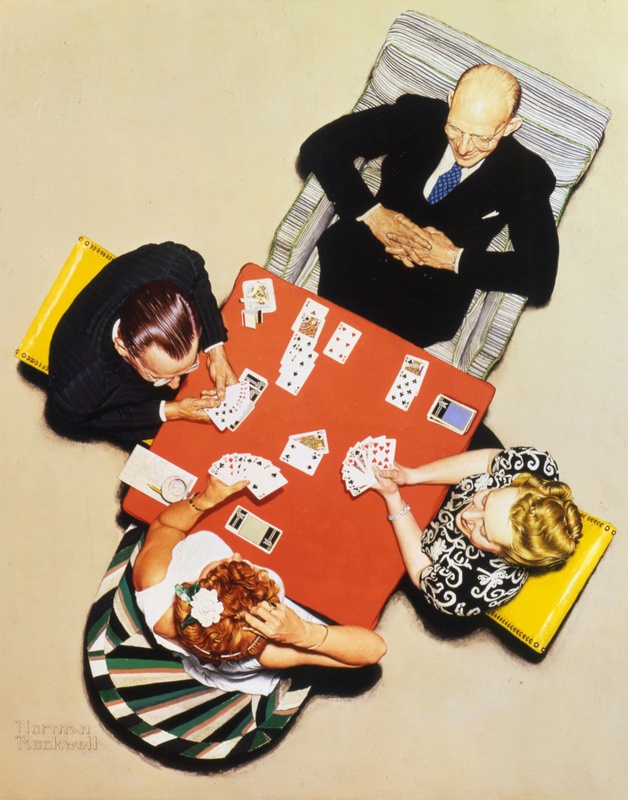 Rockwell’s six-decade career depicts one of the most eventful periods in American history, spanning four wars, the Great Depression, the space race, and the Civil Rights Movement. Organized by the National Museum of American Illustration in Newport, Rhode Island, the exhibition premiered to critical and popular acclaim at London’s Dulwich Picture Gallery in December 2010. Norman Rockwell’s career as an illustrator began in 1912, at the age of 18, when he published his first works. That same year, he was hired as a staff artist for Boys’ Life, the official publication of the Boy Scouts of America. He soon became the magazine’s art editor, a position he held for three years. While Rockwell’s relationship with the Boy Scouts continued long after his departure, it was his work with the Saturday Evening Post that made him a household name. With his first Post cover published in 1916, Rockwell often used his friends, family members and even himself as models for his work. He usually worked from reference photographs staged in his studio, and created scenes depicting everyday American life based on his own experience. Although often remembered for his nostalgic approach to American daily life, Rockwell also seriously addressed major social issues of the time in some of his later work. The Problem We All Live With showcases the courage of a young black girl led by US Marshals on her walk to school on the first day of desegregation. The original painting recently hung in the West Wing of the White House at the personal request of President Obama. Rockwell’s exploration of such controversial topics was a radical departure from the generally positive and frequently humorous scenes he was known for in his Saturday Evening Post days. As a painter, Rockwell mastered a wide variety of techniques, and showed strong interest in art history, sometimes emulating the work of the Old Masters, and even showing an interest in Modern artists such as Piet Mondrian and Jackson Pollock.